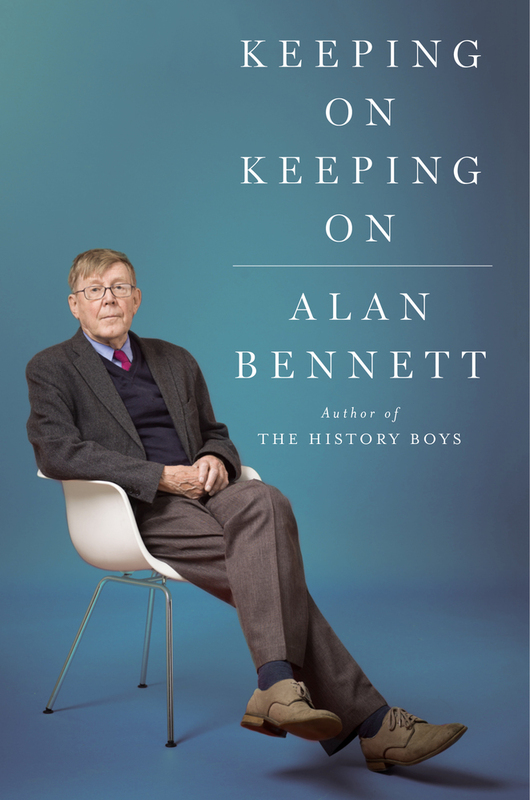 This is the third installment of dramatist and author Alan Bennett's collection of diaries and essays, covering 2005 to 2015. This self-criticism has a whiff of desperation. Now in his 80s, the British playwright of stage-to-screen hits like The History Boys and The Lady in the Van has become, to his dismay, beloved, a national monument to coziness and harmless affability ... Keeping On Keeping On comprises a decade of diary entries, from 2005 to 2015, all originally published in The London Review of Books, each one a burst of intellectual fire and feeling — but unpretentious and unsentimental to the core ...a string of wry asides to the audience — pensées, jokes and anecdotes with the compression and tang of a Lydia Davis short story ...the proof is on every page. He remains energetically and profitably exasperated, committed to exposing corruption, the abuse of language, the exploitation of people and assorted foolishness of all kinds. He writes wittily about the intricate mundanities of his days in a way that feels casually intimate, and yet he reveals very little of his inner life: The diaries are, for the most part, an exhaustive catalogue of external bits and pieces ... Bennett employs throughout the diaries, allowing a mundane detail to open out onto some meandering avenue toward his past ...a subtle comedy to the solemn manner in which Bennett announces, say, this late-life turn... One of the collection’s more consistent pleasures, in fact, is seeing the eminences in Bennett’s social circle encountering the mundanities and absurdities of everyday contemporary life ...a very long book... And yet the diary form, the brevity of each individual entry—coupled with my ongoing trust that I was never more than a page or so from some amusing insight or witticism—kept me ploughing through the pages, night after night, keeping on keeping on. Like the two earlier miscellanies, this volume is Boswellian in its devotion to its subject and in its near-biblical bulk ... Luckily for all of us, Bennett was born with the gift for style that’s been the genetic inheritance of English writers from Jonathan Swift through George Orwell. In spite of age, he still writes with the bite and vigor of a young man ... If you’re not already an Alan Bennett follower, Keeping On Keeping On is not the best place to jump in. There are, as he fears, too many churches visited, too many antique shops, too many meals, and simply too much diary ... Still, there are writers we turn to with almost religious gratitude and Alan Bennett, for many people, is one. In an age of amnesia, he knows and honors the past. In a civilization ruined by cellphones and flip-flops, he is ink and paper, corduroy and tweed. In a world running on ignorance, he’s well read, thoughtful and informed on any number of topics. What did you think of Keeping On Keeping On?